Now that you have your week planned out, break those tasks down further and plan out when you can get them done during your day. Now that you have a good handle on what you need to do for the month ahead with my monthly calendar printable, I like seeing a list of daily tasks to complete each day so I stay on track. 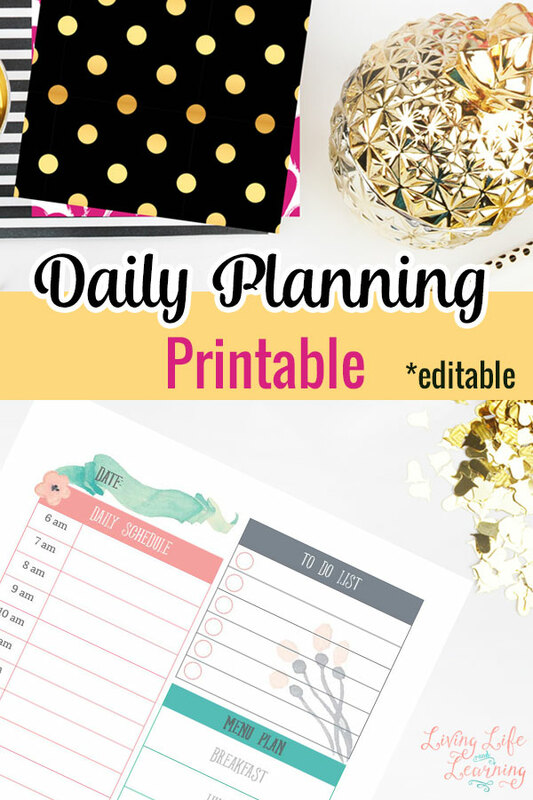 Use this daily planning printable to schedule important tasks for your day that you need to complete like a major organization project in your homeschool, a list of your appointments and errands you need to accomplish or when you’ll need to pick up and drop off your children from school with everything in between. I know if I don’t write things down, they would never get done because they’re always forgotten. You’ll get two pages to print double-sided or the last two pages are editable so you can type in your daily plans and then print them out. I enjoy checking off boxes so I prefer to do those by hand. 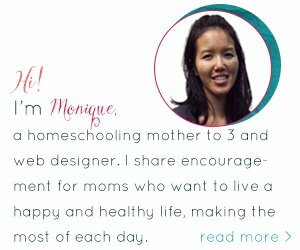 Grab the other planning printables for moms. This is a great printable! And something I desperately need! Thanks!